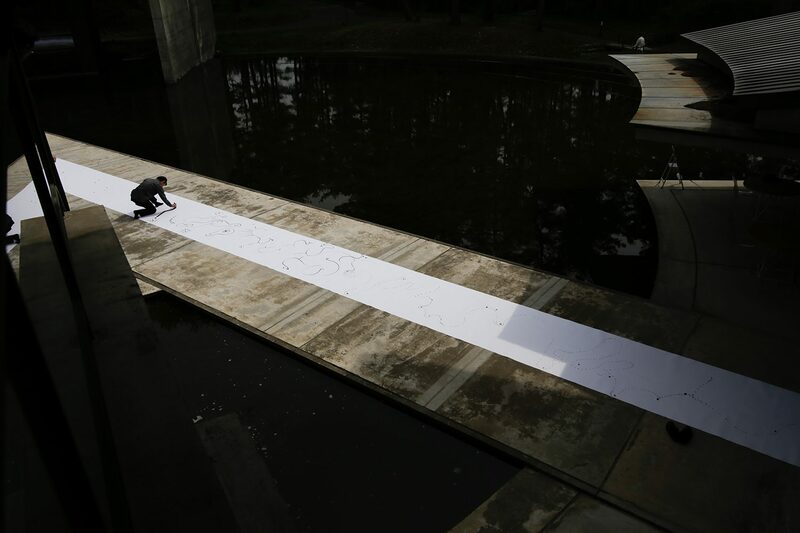 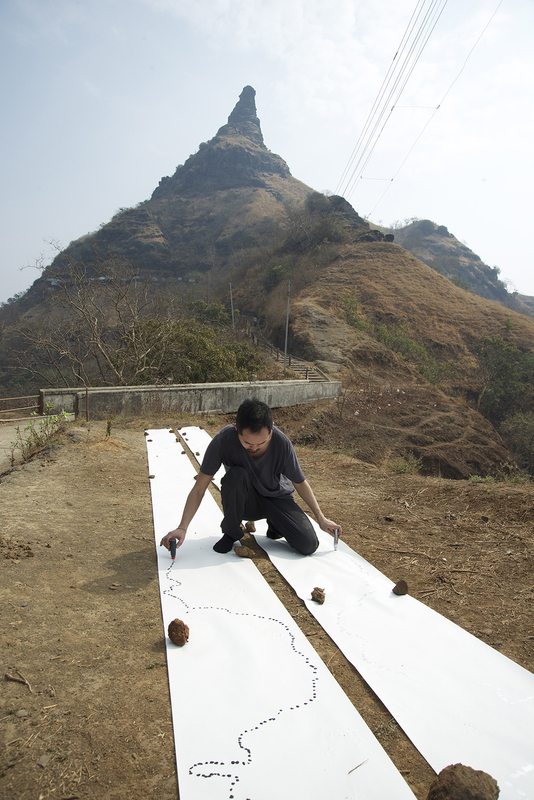 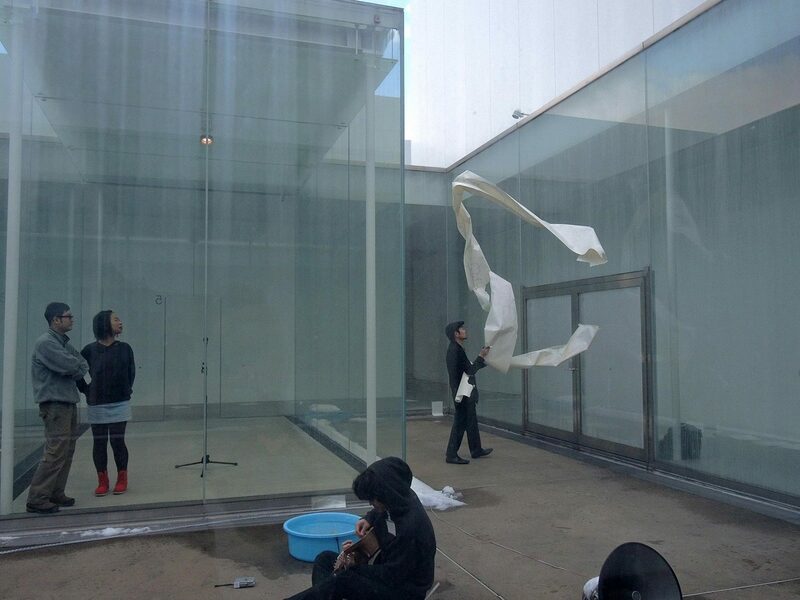 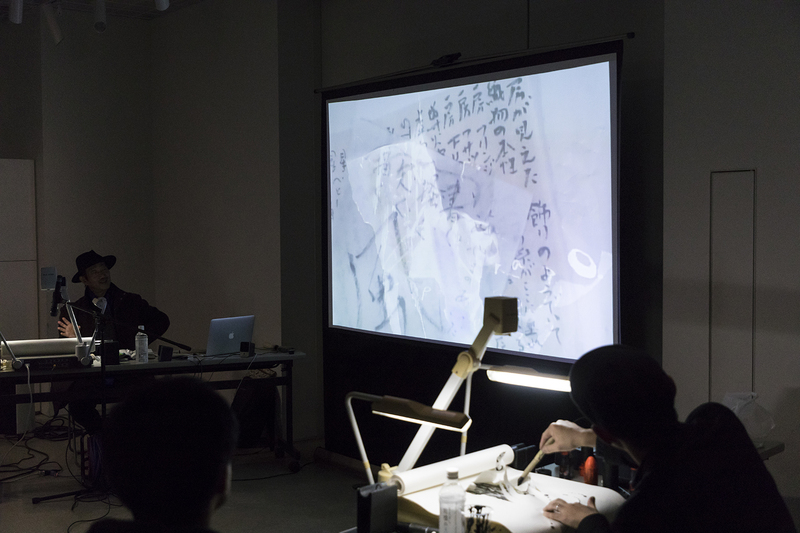 Hiraku Suzuki’s performances function as a scene for experimenting discoveries that can only be generated within limited conditions including the relationship between the location and collaborators while using varying methods and materials for each session. 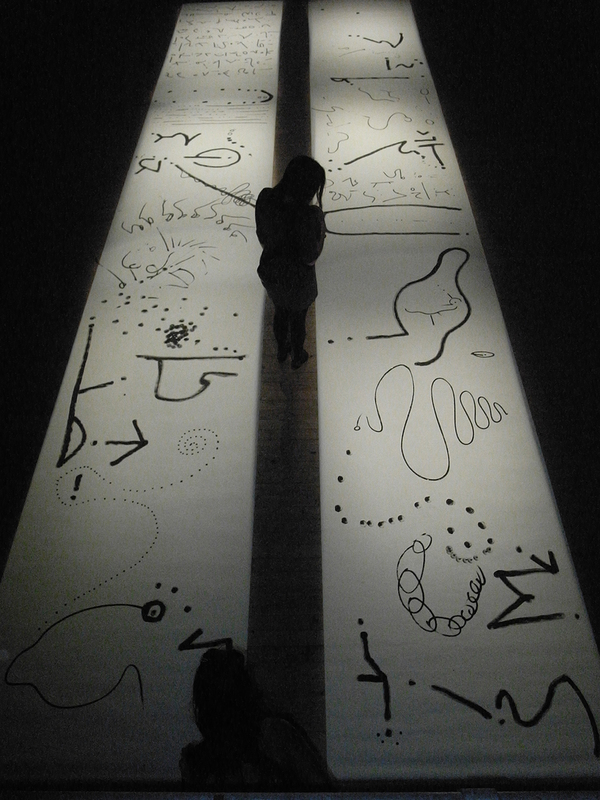 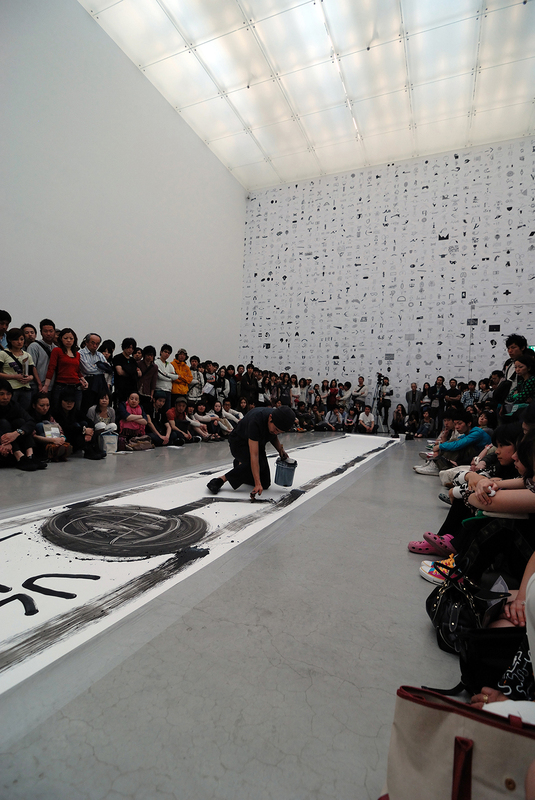 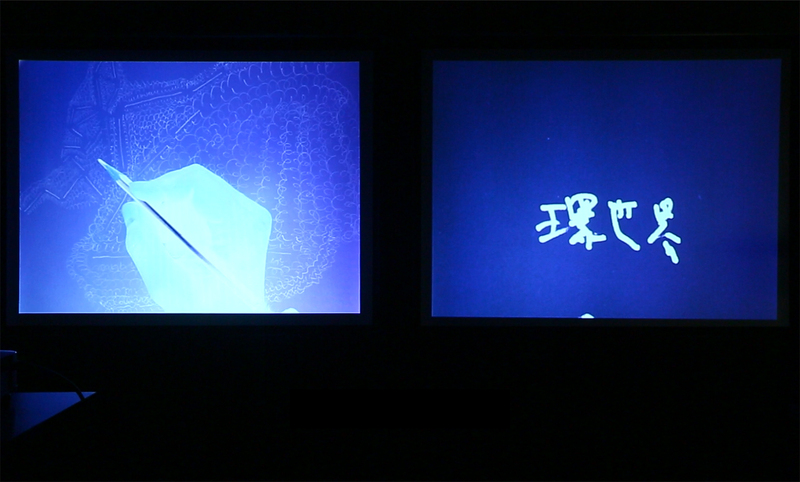 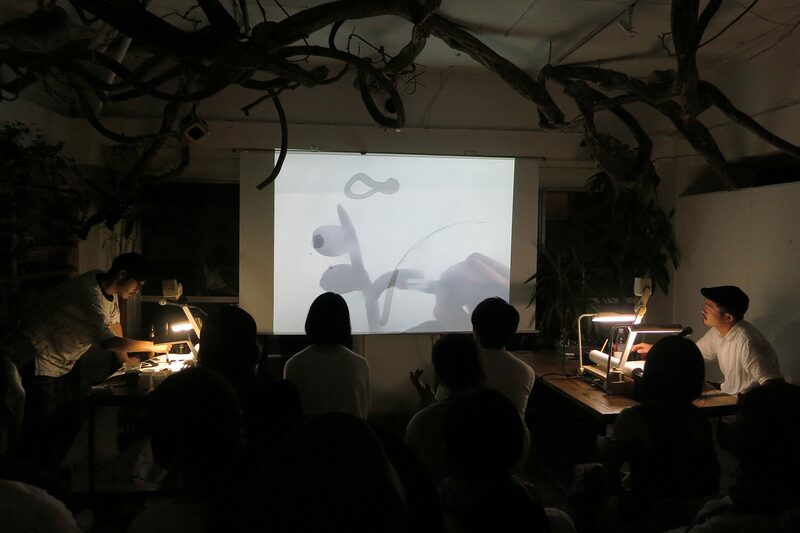 For example, the artist made use of earth collected in the vicinity of the venue for some of his past performances, and in recent years, employed document cameras to project the characters and lines being illustrated on a screen while he conversed with guests. 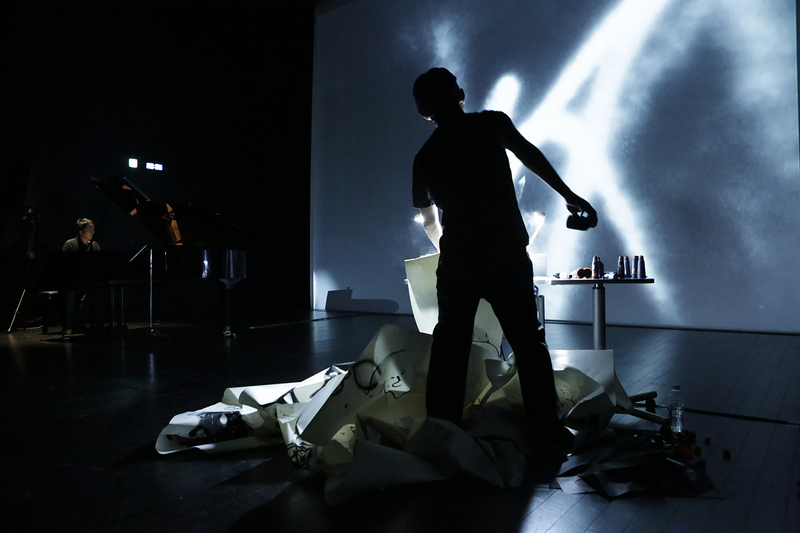 Through these performances, the artist is in pursuit of new possibilities, flexibly altering the format of each performance.